Music festivals aren’t the most sustainable places in the world. Large stages use copious amounts of energy, attendees use multiple tanks of gas to travel across the country for the event, and after a long weekend of drinking and eating, the venue often looks more like a trash heap. But the Bonnaroo Music and Arts Festival, located on a 700-acre piece of land called ‘The Farm’ in Manchester, Tennessee, is unique in the way it puts as much of an emphasis the environment as they do the music. The event is known as one of America’s grungier festivals because of the fact that most attendees camp in tents on The Farm rather than traveling to and from a hotel in Nashville. The end result is a space where volunteers, staff, and campers grow a connection not only with the music, but with the land, as well. With alumni like Tom Petty & the Heartbreakers, Elton John, Kendrick Lamar and Jack White, it’s easy to get caught up in the music, but Bonnaroo takes its responsibility to our planet as seriously as they take their lineup. The Bonnaroo Works Fund (BWF), a 501c3 nonprofit organization that works directly with the festival to support organizations with a mission of fostering art, education, and environmental sustainability within local communities, was founded in 2009 to lead the festival’s efforts to “change the world” not just through music, but through charitable giving. The BWF has donated to and supported more than 100 organizations, including national organizations like MusiCares, Rock the Earth, and Music For Relief, which are all nonprofits that combine music and service to make communities more vibrant, healthy, and sustainable. Though the Bonnaroo Works Fund makes a lot of grants (a grand total of $225,000 annually), they provide a lot more than monetary support to local groups. Local nonprofits can set up shop at a kiosk in Centeroo during the festival, where they can sell swag, invite people to sign up for their email lists, and spread the word about their cause. They also encourage members of local nonprofits to volunteer at their concession booths throughout the festival, and once the weekend comes to a close, a portion of concessions profits are donated to whatever organizations volunteered to staff the booths. 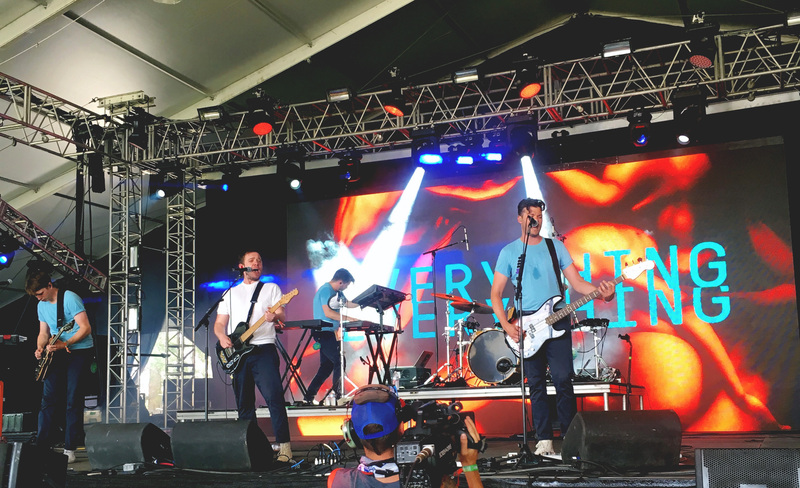 This effort has raised over $2 million over the past decade, demonstrating Bonnaroo’s ability to be both an engaging arts festival and an effective platform for charitable giving. The BWF has donated to and supported more than 100 organizations, including national organizations like MusiCares, Rock the Earth, and Music For Relief, which are all nonprofits that combine music and service to make communities more vibrant, healthy, and sustainable. The Bonnaroo Works Fund is completely funded by loyal Bonnaroovians. A dollar from every ticket goes towards BWF, and seeing as the festival sells anywhere from 50,000 to 100,000 tickets a year, that’s a pretty good annual starting point. Patrons can also help raise money for the BWF by participating in the Silent Auction, where they can bid on high-dollar items like artist-signed memorabilia, guitars, Bonnaroo merch, photos, and other entertainment experiences. Every dollar goes directly to a cause that the Works Fund supports. Every year, the BWF release a report that shows exactly how and where they redirect trash and recyclables, what nonprofits they choose to support, and a feature on continuing sustainability projects, so that every Bonnaroovian can see how the festival is using their money to make a difference. But to see the Bonnaroovian effort towards sustainability, you don’t need to read any formal report. You can see it right away in The Farm. From the moment you purchase your ticket, you’re already given an opportunity to make the festival more sustainable with the purchase of a reusable Bonnaroo cup. The Roo-usable cup comes with a few additional bonuses, including a free beer with purchase, a dollar off every additional beverage, and, most importantly, the elimination of any plastic cups you would have had to throw away without it. If you’re bringing your car onto the Farm to camp, you’ll receive both a trash bag and a recycling bag at check-in to ensure that your aluminum beer cans and plastic water bottles aren’t being strewn all over the campgrounds. Reducing the amount of trash that festival-goers produce is integral to Bonnaroo’s sustainability efforts, but making sure you know what to do with the trash that you *do* produce is just as important. Inside Centeroo, when you go to throw away the remnants of your veggie pad thai, a volunteer will be stationed at the trash bags to make sure that you’re throwing the various materials into the appropriate landfill, compost, or recycling bin. 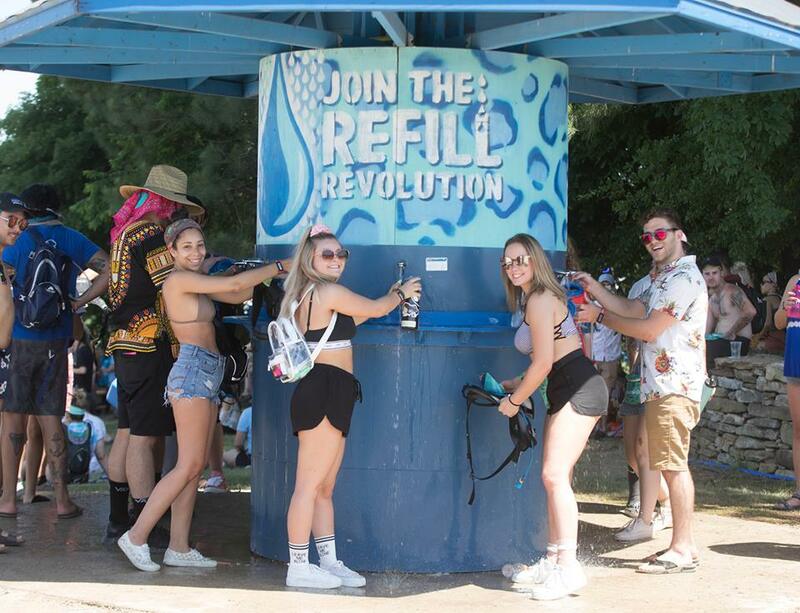 And if you really want to get the most out of your leftover recyclable materials, you can take them to the Clean Vibes’ Trading Post to exchange plastic bottles and paper plates for festival merch or camping gear. By taking direct action with policies on the Farm, Bonnaroo has not only created a more sustainable festival but also fostered a culture of festival-goers eager to follow suit. They don’t just enact sustainable policies, they encourage their campers to practice sustainability even after the leave the campgrounds. The center of their social and environmental education efforts is a little place called Planet Roo, where Bonnaroovians can take a break from the chaos of festival life and attend events and classes hosted by local nonprofits. For instance, in 2017, Natural Resources Defense Council talked to 1,500 people about ways to preserve natural resources. That year, Planet Roo hosted 27 different nonprofits who educated festival-goers and raised awareness about a variety of unique causes, including Global Zero, a global initiative to eliminate nuclear weapons, who gained 4,000 new members over the weekend. At Bonnaroo, people live by the festival’s motto of “radiating positivity” by wishing a “Happy Roo!” to perfect strangers as they high-five them, making genuine connections with people they plan to meet up with next year, and learning about ways they can make a positive impact on the world. The culture of positivity at Bonnaroo creates a perfect environment to promote social consciousness, environmental sustainability, and nonprofit support. The weekend includes its fair share of partying and chaos, with acts going until 3 AM and DJ sets slated to run until sunrise, but for most Bonnaroovians, the festival is about a lot more than that. At Bonnaroo, people live by the festival’s motto of “radiating positivity” by wishing a “Happy Roo!” to perfect strangers as they high-five them, making genuine connections with people they plan to meet up with next year, and learning about ways they can make a positive impact on the world. At first glance, Bonnaroo seems like an unlikely champion of a sustainability, considering how much energy they have to use to light up a 700-acre farm and run more than ten stages over the course of the four-day weekend. But Bonnaroo has not shied away from their responsibility to our planet despite the obstacles that are integral elements of their product. At Givebutter, we believe that giving should be built into the foundation of any company, organization, event, or person looking to make a difference in other people’s lives, and Bonnaroo has fostered a community defined by creativity, positivity, and charitable giving that reaches past the music community and towards a more sustainable future.